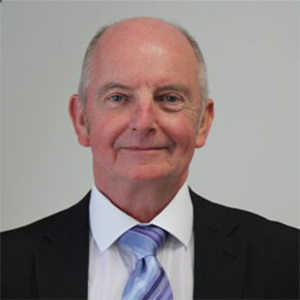 Mike has over 43 years’ experience working in Police Forensics, from a strategic management, operational practices and procedures and practitioner training perspective and is a qualified Fingerprint Expert. Operationally he was Head of a Regional Fingerprint Department in the UK, serving three Police Forces in the North East of England before moving on to forensic training delivery with the precursor organisations of the College of Policing, namely National Training Centre for Scientific Support, Centrex, and National Policing Improvement Agency (NPIA). Mike recently retired from the College of Policing where latterly he carried out the role of Territory Manager for the Gulf Co-operation Council. In this role he was responsible for working with the College’s key clients in the region to assist with the introduction and development of operational forensic and investigative practices based on UK Policing standards and the delivery of bespoke forensic training and learning programmes. Here he developed excellent client relationships with a wide range of key partners in the various Police and Security agencies in the region including, Senior Officers and Strategic Managers within Ministry of Interior Police and Security Departments, Senior Police Officers and their staff, forensic practitioners and with other key stakeholders including British Embassy personnel and colleagues from other HM Government Departments actively working in the GCC. He has also worked in many other regions worldwide including Asia, the African continent, USA, Canada, Central America and the Caribbean, where he has provided numerous Training Needs Analysis’, strategic reports and recommendations’, operational support and delivered numerous specialist and bespoke training programmes. Mike also holds a law Degree and is a qualified teacher holding a Post Graduate Certificate and Diploma in Education from a UK University.